Total Carat Weight: 0.38 ct.
A bright center gemstone is accented with amazing diamonds and exquisite details! 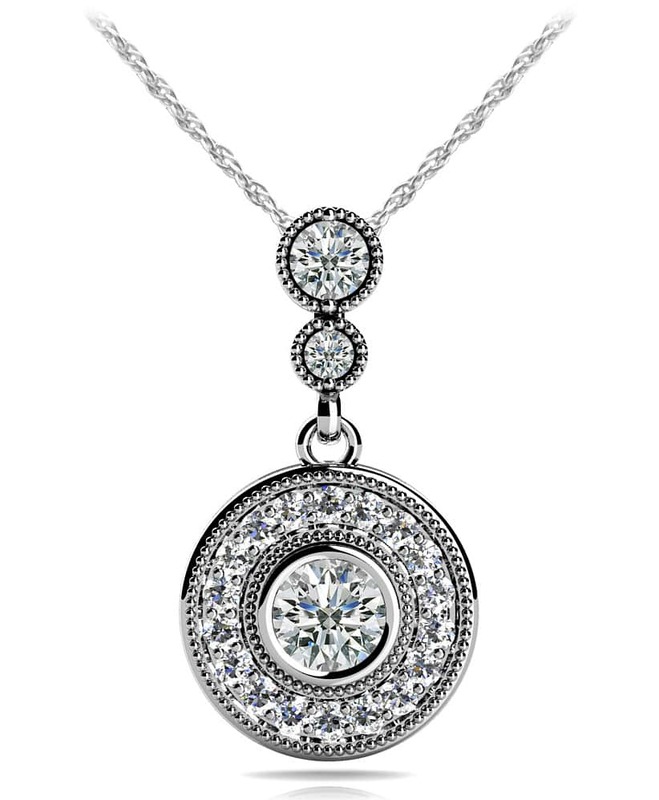 The pendant center stone is surrounded by a circle of smaller diamonds. 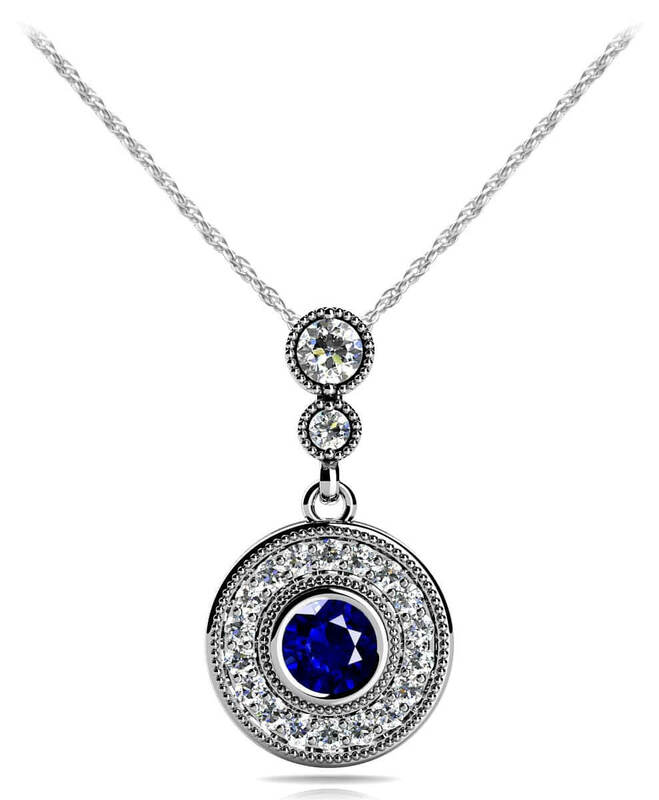 What makes this pendant unique is the double diamond drop design, so the slider is a sparkly diamond, and there’s another diamond directly below it, which links to the pendant! You can customize for yourself by choosing from three sizes, .50, .80 or a fabulous 1 carat total diamond weight and in your choice of white gold, yellow gold or platinum. Model Carat Weight: 0.38 ct. Effective Carat Weight: 0.38 ct.
Stone Carat Weight: 19X0.009 ct., 1X0.050 ct., 1X0.160 ct.